In the April 16, 2019 Ask The Headhunter Newsletter a job seeker exposes rude HR recruiting practices and 319,000 people take notice. Hundreds of LinkedIn users have commented on a clever cover letter someone sent to a company about a job. The reply he got was an unsigned e-mail blast the company sends to all rejects, suggesting his application wasn’t even read. But he got the last laugh. 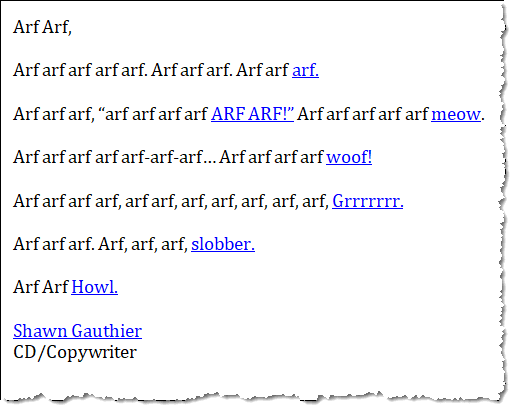 His cover letter was a series of “Arfs.” He posted it and their canned reply. How embarrassing for the employer to be exposed like that! This is yet another example of how employers treat job applicants. They solicit us then ignore us! What’s the solution to this? Shawn Gauthier (shawngauthier.com) is a copywriter and creative director in the advertising industry. He’s one of the 155 million members of LinkedIn in the U.S. who turn to this “professional networking service” to find a good job match. But, like many frustrated LinkedIn users, Gauthier finds that this jobs-and-people database is more about robots than true networking. The lesson Gauthier learned is trivial — that this “boilerplate rejection” practice is pervasive. LinkedIn’s 155 million members have all been treated to such robo-rejections more times than they can bark. I mean count. And they’re talking about it. There are over 440 comments on Gauthier’s post. Employers are increasingly complaining that they can’t fill critical jobs because of a low unemployment rate coupled with an inadequately trained workforce. In other words, employers claim the right talent just doesn’t exist. Comments from hundreds of job seekers on this LinkedIn thread, however, suggest the talent problem is in the Human Resources suite, where a troubling brand of clueless disdain for job applicants seems to destroy companies’ ability to recruit the workers they need. Despite the tongue-in-cheek sarcasm in his cover letter, Gauthier continues to maintain an incredibly high level of professional conduct in his many replies to the hundreds of comments he received on his LinkedIn post — even when the commenters are HR managers out to shame him by rationalizing Chewy’s behavior. This has become the mark of clueless personnel jockeys. They don’t seem to realize that their disdain for job applicants destroys their companies’ reputations in the professional communities they need to recruit from. The problem is not a talent shortage. HR itself is the reason so many companies can’t fill jobs. Stop relying on keyword job descriptions. Ever have a job that six months into it matched the job description you were hired for? I ask this question at workshops I do for Executive MBA programs at Wharton, UCLA, Northwestern, Cornell and other top business schools. Everyone laughs. The answer is always Never! — because job descriptions are fabrications of HR. So stop relying on keywords and on any kinds of job descriptions. Move on to #3. If you’re going to recruit, then become expert in the work of the company teams you recruit for. Be able to mix it up with engineers, marketers, finance people, programmers and production line workers. Understand their work. Asking job candidates what’s their greatest weakness and how they handled a difficult situation isn’t interviewing. It’s fake. Recruiting means going out into the professional community where the people that you need to hire hang out, talk shop, learn, and teach one another. Everything else is B.S. I know you know that. So stop pretending because some whitepaper published by some HR Consulting Shop told you to waste your time and money on Indeed or LinkedIn. Go out into the world and participate in the professional community you need to recruit from. Make your hiring managers spend 20% of their time each week recruiting. If it’s not worth it to them, then they’re not managers. They’re individual contributors. A manager’s job is to recruit, hire, train, cultivate, enable, mentor and manage the people who do the work. No matter who’s doing the recruiting, do it all the time. 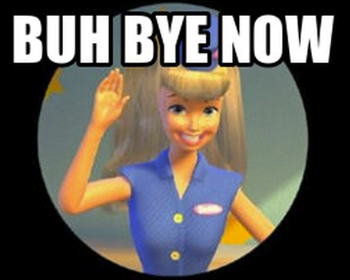 Those EMBAs always ask me, “My company’s going to merge or get acquired in 6-18 months. My job may be at risk. 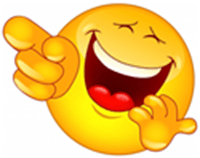 When should I start job hunting?” I give them a long pregnant pause, then I tell them, “Two years ago.” After they’re done laughing nervously, every single one of them gets it. Likewise, you and your managers must be recruiting all the time. Posting jobs and waiting for “who comes along” isn’t recruiting. It’s lazy. Do you believe job applicants are too much trouble? Then you’re doing it wrong. You’re not your company’s solution to its problems and challenges. The people you’re trying to hire are. Start treating them with respect all the time. If you believe it’s okay to insult and talk smack to job applicants, then get out of HR. The next time you feel like being snarky with a job applicant, quit your job. You don’t need headhunters like me to fill jobs. You need to be an active part of the professional community you need to recruit from and to cultivate sources and friends who trust you and that you trust. NEWS FLASH! We all know how most jobs are found and filled: Personal contacts. So stop spending 99% of your recruiting budget on job postings. Start spending it taking great candidates to dinner. Please — stop pretending! It looks very bad to those people your company desperately needs to hire. They tell their friends. 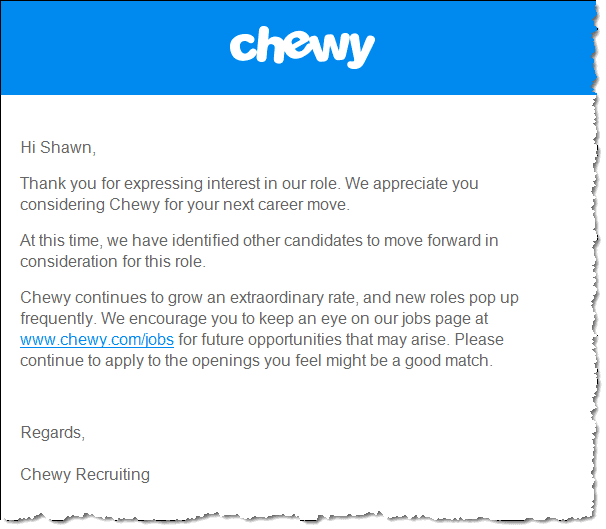 It still doesn’t sink in at Chewy — or in most HR organizations. If you’ve got too many applicants that “need to be rejected,” then you’re soliciting too many of the wrong people — which means you are the problem and your recruiting methods are the problem. There is no talent shortage except in HR, where it’s “a little difficult” to let the truth sink in. Your team should not need to send out 670 rejection letters to anyone! Why can’t HR fill jobs? Is it because of a talent shortage? I offered up 10 suggestions to help HR fix HR. What else is HR doing that hinders recruiting and hiring? What else should HR do so companies can fill jobs? 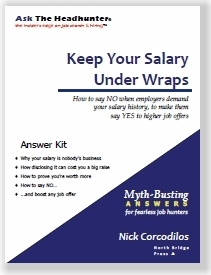 In the April 9, 2019 Ask The Headhunter Newsletter a felony stands between a reader and a job. Nearly every position I have found that I am qualified for in logistics is off limits to anyone with a felony within the past seven years. I’m past the five-year mark. I tried starting my own business but it doesn’t pay the rent yet. It’s desperation time. I have no problem washing dishes or doing any kind of “menial” labor. Work is work and pay is pay. But even those jobs are hard to come by these days, except for those who lie, and I’d rather not do that. Any ideas on how I could find a job of any kind quickly? What I’m going to suggest probably won’t get you a job quickly, and it definitely won’t be easy. But it’s the only way I know to help you. Employers worry. You need to get them over that, because they probably don’t want to risk hiring an ex-felon on their own judgment alone. But they might take the word of someone they can trust if you can deliver it. A good reference might beat a felony. But don’t take chances. This means you have to use references who will speak up for you. No matter what job you apply for, ask one or two people you have worked with, who can speak up positively about you, to call the hiring manager directly and recommend you. Not when they are called, but in advance. This kind of preemptive reference is very powerful. It won’t work every time, but a recommendation like this can help you overcome problems from your past, because it’s a referral as well as a reference. An employer who won’t take your word might listen to someone who has had good experiences with you. It’s up to you to be ready with such references. They don’t have to be former employers. They might be satisfied customers from your nascent business, or respected members of your community. 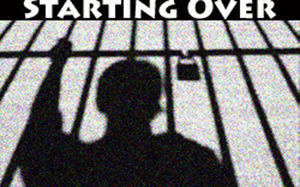 You’ve had a good five years of making new contacts since your conviction. Now take the time to make a list of people who might help you, then rank order them. Ask the best ones if they’d be willing to help you get over this hump — and assure them you will repay their trust by being a trusted employee to anyone that hires you. If a potential reference isn’t sure how to help you, ask them to read this account of someone who did it: Referrals: How to gift someone a job (and why). This is a very assertive approach. Consider whether it’s right for you. But I’d do more than note the felony on your forms. I’d bring it up with the manager when you meet. Be frank and matter-of-fact, but don’t dwell on it. 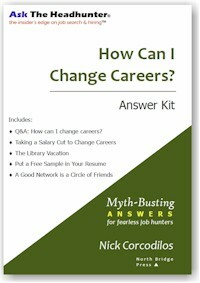 In my PDF book, How Can I Change Careers?, I offer many “How to Say It” tips about how to make an effective commitment to a manager who has doubts about whether you’re worth hiring. I’ve re-worked one of those ideas for you. Modify it to suit your situation. “I made a big mistake over five years ago. I was convicted of a felony and I did my time. I don’t expect you to hire me unless you’re confident I’ll do a good job for you. That speaks volumes. Just be ready to back it up, whether the job is dish washing or logistics. When an employer takes a chance on you, it’s up to you to confirm the trust they put in you. Don’t screw up. Would you hire a someone with a felony on their record? What could they do to inspire you to take a chance? How could you minimize your risk? How do you advise this reader? In the April 2, 2019 Ask The Headhunter Newsletter a manager says he’ll never post another job on Indeed. Indeed.com – what a joke! The first time we used Indeed was last year. We got scads of applications and scheduled four interviews. One candidate showed. The rest were all no-shows. Fortunately, we got really lucky and hired the one person who showed up. To be fair, for another job we scheduled four interviews and only one was a no-call, no-show. The last time we used Indeed was for an accounting position. Again, we received scads of resumes (53) and reached out to 10 people for interviews. Only four accepted. We then scheduled and confirmed them. None showed up or bothered to call to cancel. What interested me about your article (The Bogus-ness of Indeed.com) was that we had been attributing the no-call, no-show behavior to “Millennials,” but your article has caused me to think that it may also be a by-product of using an online job board. We stopped using Craigslist for the same reason. This is the problem with job boards. They are completely anonymous with no accountability. As a result, their “applicants” are free to be flaky without recourse. This is the last time we will use Indeed.com. Do you think anything has changed since your 2014 article? Maybe we can all put our heads together. I’d like to know what members of this community conclude by analyzing Indeed’s marketing and Indeed’s claims about its “success rate” in filling jobs. Something big changed at Indeed.com since that 2014 article. Indeed’s revenues went from $434 million (2014) to $777 million (2015) to $1.229 billion (2016). 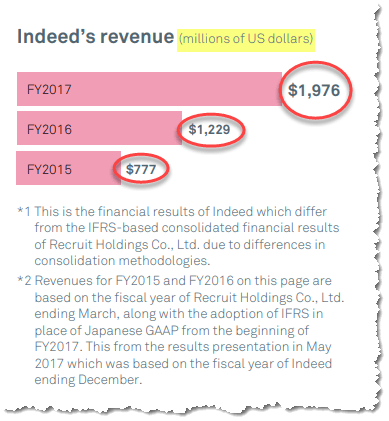 In its 2018 annual report, Indeed’s Japanese parent, Recruit Holdings Co., LTD., reported 2017 revenues of $1.976 billion attributed to Indeed.com. What did you say was Indeed’s success rate getting Indeed’s job applicants to show up for interviews? Since it seems you actually hired one person across three jobs you posted on Indeed in the course of a year, I suppose that’s a 33% success rate, eh? 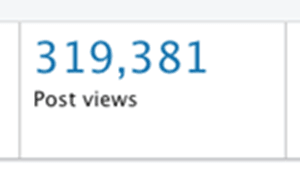 What do other readers make of the numbers? Who needs any other job board, website or even any employer’s own career page? Where do all those jobs that people get on Indeed really come from? Indeed.com is a search engine that searches for just one thing, everywhere: job listings. Calling Indeed the source of 65% of all hires seems akin to calling Google the #1 source of all information because people use it to search all other websites. The report claims to be a “quantitative survey” of more than “1,000 customers using SilkRoad’s applicant tracking system (SilkRoad Recruiting),” based on “15 Million Applicants, 392,00 Hires, 655,000 Interviews.” However, the survey, sampling, data gathering, and analysis methodology are not described. Here’s how SilkRoad presents the numbers. Please pay attention. What SilkRoad never calculates for the reader is the percentage of all hires that are attributed to Indeed. It’s a simple calculation: 65% X 48% = 31% of all hires. Every HR manager I know says that virtually all jobs are posted online to comply with equal opportunity hiring regulations. So I’d like to know what readers think: How can SilkRoad tease apart “Internal” and “External” Sources of hires? 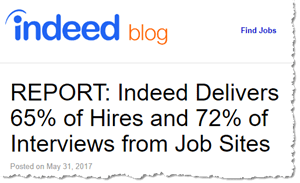 What does it mean that “Indeed Delivers 65% of Hires… from Job Sites”? 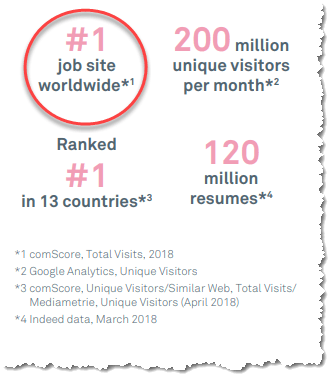 According to comScore, Indeed.com was the #1 job site worldwide in 2018 based on total visits. Since Indeed “aggregates job listings from thousands of websites, including job boards, staffing firms, associations, and company career pages,” WTF are we really talking about? Is anyone impressed by that? Take a quick look at the SilkRoad “report” and Indeed’s claims in its blog posting. What do you think it means? I eagerly read every one of the annual reports they issued. In over a decade, the results did not meaningfully change. Accounting for “internal” and “external” and “all” hires, every year all the major job boards in aggregate seemed to deliver only around 10% of all hires to companies surveyed. The quality of the data currently found within ALL ATSs [Applicant Tracking Systems] is still, and especially today, too ugly to use for effective decision making. Vendors who bolt on other solutions to cherry pick internet candidate movement collect equally flawed data. They [mostly] embarrass themselves with their hype over their claims to be measuring ‘best source of hire data’. If the oldest job-board watchdog gives up on trying to suss out the “Source of Hires” after over a decade of trying, what’s up with SilkRoad’s conclusion that Indeed is the source of 65% of any kinds of hires? Members of this community continue to recount in detail their experiences with drive-by recruiters “soliciting” them via Indeed and other job boards. This in turn leads those very employers to criticize the quality of America’s workers — they complain there’s a “talent shortage.” But when companies go dumpster diving for job candidates, they shouldn’t be surprised at what they (don’t) find. “Indeed delivers 65% of hires.” Yup? I know job seekers are frustrated with the likes of Indeed, ZipRecruiter, LinkedIn, and Glassdoor (which is now owned by the same company that owns Indeed) — because you tell me right here on this forum. But I’d love your take — your analysis — of the marketing information published by Indeed and SilkRoad and the other data described above. Do me a favor and run some of the numbers that are designed to make employers spend their billions of recruiting dollars on automated recruiting. What does it all add up to? 65%? 31%? Of what? Nothing is going to change if we don’t figure it out and talk about it earnestly and loudly. Should I tell Company B that Company A just fired me? In the March 26, 2019 Ask The Headhunter Newsletter a reader gets fired right in the middle of interviewing with another employer. I started talking to Company B about a new job and after a few interviews things were looking really good. I then got terminated by Company A from my current job. (I didn’t do anything illegal or anything like that, but I was fired, for sure). Now it looks like Company B is ready to make an offer. Should I tell them that I’m no longer employed by Company A? I want to be honest and open but don’t want to throw a wrench in the works. Would your termination (and the facts surrounding it) at Company A make a material difference in your ability to do the job properly at Company B? If not, I see no reason to disclose that you’re no longer employed by Company A (or that you were fired) if you prefer not to. 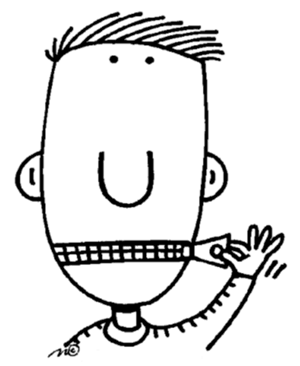 One good reason not to disclose is to protect your ability to negotiate. The other, of course, is that some companies have a bias against The Unemployed — and that could throw a wrench into the deal. Why risk it if you don’t have to? But don’t lie about it if you are asked, including on an application or other forms you are required to fill out and sign your name to. Tell the truth. Once you sign contracts, it gets more complicated and you might need advice from an attorney. If someone does bring it up at this juncture, I think the best answer is honest and simple and probably goes like this. I doubt it’ll get that far. We don’t need to tell everything as long as we tell what really matters to the people we’re going to work with. What matters is anything that will affect our ability to deliver the work we promise to do. No company has a right to any other part of you or your story — unless you sign a contract to that effect or the law requires it. The important point is this: Focus the new employer on why you are talking with them, and on what you can do for them if they hire you. Having said all that, I don’t know any more details than you’ve shared, and I don’t know whether any questions will come up or in what form. My advice is not as important as your own good judgment, so consider all the factors you’re aware of. I hope what I’ve said helps you somehow, and I’d love to know how this turns out. I wish you the best. Do you have any obligation to disclose getting fired? How about if you got fired after the hiring process started? Is there a difference? How would you handle this situation? Should I move for a 30% salary increase? 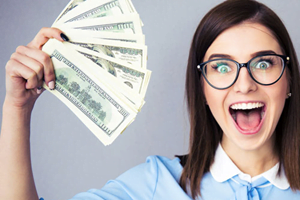 In the March 19, 2019 Ask The Headhunter Newsletter a reader asks whether a big salary increase is enough reason to accept a job offer. A rival company has offered me a job with a 30% salary increase. I know there are other things to consider, but it’s such a big pay bump that I think it may be sufficient reason to move. Should I accept it? Only if money is your prime motivator. If it is, go for it. Of course, without any other information, I can’t really give you very thoughtful advice. But in general, this is a scenario that people sometimes face, so let’s deal with it generally. Whose are better? Try to put a value on each of those factors, then include them in your analysis. I’d give the most weight to the people you’ll be working with. Are they smart? Highly skilled? Dedicated to their work and the company? Do they demonstrate high integrity? Are they a tight-knit group that works well together? Do they mentor and help one another? This matters especially with regard to the company’s management, of course. Even if the company doesn’t score tops on the other four factors, a great team can compensate and drive the company to success. On the other hand, if the people aren’t great, it doesn’t matter how good the products, reputation, future prospects are finances are. That old saw is true: It’s the people, Stupid. You’re (hopefully) going to be living with them a long time. The next three factors are intertwined. A company’s products, and new products it’s got coming down the pipeline, affect its reputation and future prospects. Pay close attention not only to how the company’s customers regard the company, but also to how it is viewed by the business community, the business media, its competitors and its market. You may have found a good job and great money, but the financial gain from that big salary bump may be very short-lived if those other factors aren’t strong. Is the business sound financially? Few job hunters consider the financial aspects of a job beyond the pay. That’s foolish. I’ve never accepted a job without first meeting with the Chief Financial Officer. I want to know about receivables and payables, sources of funding for operations and growth, and — if it is publicly traded — how the company’s stock has performed. Believe it or not, I worry more about whether a company is responsive to its employees than I am about how it responds to its investors — but how investors judge a company matters greatly. I also want to know how the company treats its vendors — does it pay them on time? If a company isn’t sound financially, you’re probably not going to have that job very long, no matter what it pays. I’ve seen people move for money or other factors, only to regret it after they realized the image they had of the new company didn’t match the reality. It’s common for an employer to present a great image to job applicants. But it’s up to you to look under the hood of this machine! Ask to meet people upstream and downstream from your job. That is, other employees whose work product will affect your ability to do your work successfully, and employees whose work on what you produce will impact your success. For example, if you work in engineering, you need to know who is conceiving the products you will have to design and whether the sales team is competent to actually get customers to buy them. When the company is done interviewing you and makes a commitment by extending a written offer, that’s the time to seriously interview the company. A section of this article suggests how to check several key factors about an offer: 13 lies employers tell about job offers. 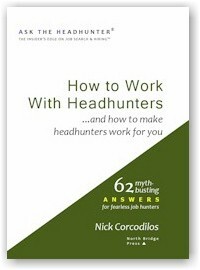 There’s a section about Due Diligence in one of my Fearless Job Hunting books that you may find helpful, too: Ask The Headhunter Store. 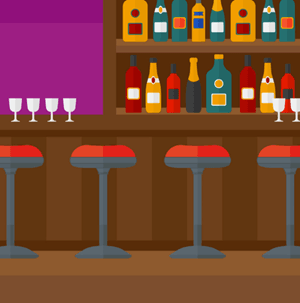 It’ll cost you about a day to do these meetings, but it may save you a lot of heartache. If the company declines to let you come back in, I’d refuse the job offer, no matter how great the money is. A company that welcomes your interest in learning more before you make a commitment reveals something you can’t learn in a normal job interview — that it really respects its employees. The added bonus is that all the people you talk to during this extra day of meetings — if you take the job — will take you all the more seriously as a co-worker. What factors do you consider when evaluating a job offer? Is a big raise ever enough reason to change employers? (This is not a loaded question: It actually might be.) What other factors would you add to my list above? In the March 12, 2019 Ask The Headhunter Newsletter a manager reveals how he recruits and hires better by doing it himself. I’m a hiring manager in engineering and have benefited greatly from your articles as both someone looking to hire talent and as a potential employee. 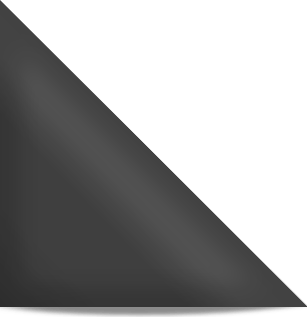 (Most recently: Want the job? 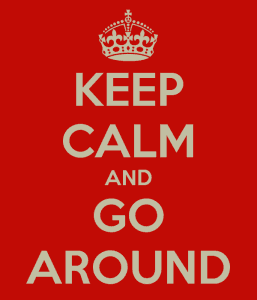 Go around HR.) Thanks for the great work and advice. I review all resumes myself and allocate time to read any that look promising. This was a big change for HR and I was surprised at the initial push-back! What I found was that HR was hyper-focused on keywords and actually trying to steer hiring managers based on criteria rather than technical skills and relevant experience. It was eye-opening. And yes, doing it myself significantly improved my ability to find great people for my team and the company. I typically spend between one to four hours a week recruiting and interviewing, but it depends on the size of the organization and state of the business. I am always looking for top talent, and I occasionally create openings for the “right” people. I find it can take months or even years to entice superstar candidates. At the moment, I receive most candidate resumes through other hiring managers, directors and V.P.s, who review them individually. Most of my actual hires are referrals from within the company or people I know and go after directly. This is probably not typical of most companies, but we are a small company (50-75 people) doing very specialized work. Nor do I invest time in random cold calls and e-mails from recruiters, specifically commercial job boards and recruiters that find me on LinkedIn or other websites. The best access to job opportunities is through your network of current and past co-workers, hiring managers, and reputable recruiters. This can be challenging early in your career, but it also emphasizes the importance of doing good work and not burning bridges. Thanks again for helping to educate employees and hiring managers everywhere. This stuff should really be taught in school. Do you do seminars for graduating college and university students? Thanks for your kind note and description of how you hire. (I added some subheadings to emphasize your main points.) I can’t compliment you enough for making recruiting and hiring so personal, and for going around the institutional claptrap. Taking HR out of the process like you do creates more work for hiring managers – work that should never have been delegated to HR to begin with. (See Why HR should get out of the hiring business.) While some HR folks are savvy about engineering, for example, only the hiring manager really understands the work and grasps the constellation of skills and expertise that would best serve a job. HR has become such an institutionalized method of recruiting at arm’s length that most managers don’t realize how huge the pay-off can be if they invest their own — significant — time in recruiting and candidate selection. Very few managers are as active as you are in finding, assessing and pursuing the best candidates. That’s a powerful deviation from the contemporary, HR-driven, norm — and absolutely necessary if a manager wants to build a great team of the best people. No one can manage finding you a job, and no one can manage your hiring better than you can. I think any manager can learn and benefit from the steps you follow to recruit and hire. As you’ve found, it’s common to get push-back from HR when you insist on doing your own recruiting and hiring. Hiring is and must always be The manager’s #1 job. And as you’ve also found, the same rules and methods you use to fill jobs will serve you well when you pursue a new job yourself. 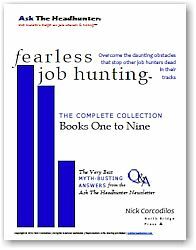 On Tuesday, March 19, 2019 7:30 p.m., I’m presenting 30 Contrarian Job Hunting Tips in 30 Minutes at the Career Forum, a program of the Somerset Hills YMCA, 140 Mount Airy Road, Basking Ridge, NJ 07920. Free, open to all. If you’re nearby, I hope you’ll join us — and please stick around to say hi afterwards! Thanks again for your kind words. To answer your question, yes, I do presentations and workshops for students and new grads. (Including Executive MBA students.) And you’re absolutely correct: This stuff should really be taught in school. While schools and professional groups hire me for such gigs, I also make a point of doing as many pro bono events as I can each year — for new grads and seasoned professionals. I like to get people from all parts of the career cycle into a room so we can talk and share ideas — and contacts! 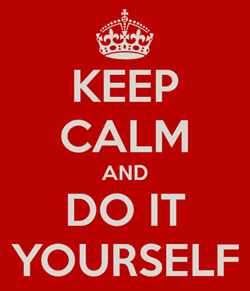 A challenge to managers: Do your own recruiting and hiring! I want to thank manager John Phillips for sharing his recruiting and hiring practices with us. (And it does take practice!) But I don’t think any manager who leaves these crucial tasks to HR is really managing. Do you? If you’re a manager, what’s your take on all this? Is recruiting and hiring your job — or is it mostly (or entirely) HR’s? How do you do it at your company? What additional tips would you add to the list above? If you’re a job seeker, how often do you encounter managers who do it themselves? Is it any better when HR is merely peripheral to the process? In the March 5, 2019 Ask The Headhunter Newsletter a reader wastes time begging HR. Can I re-apply for a job if there are vacancies still open after my application has been turned down? Of course you can. But why would you want to? 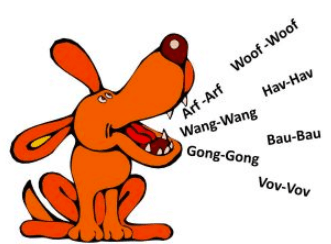 Fool me once, fool me twice — you’ve already learned this company chews up applications and spits them out without even talking to the applicant. Think about this: The hiring manager probably doesn’t even know you applied! The manager probably has never seen your resume! A personnel clerk with no expertise in the work you do (or in the open job) put a big X on your application. But there’s a smart alternative: Go around Human Resources (HR). Go around the job application form. The conventional advice on this problem is that if HR has already rejected you, you shouldn’t waste your time. But that’s like the boy who shows up to a girl’s house to ask her on a date — and the gardener shoos him away, so he gives up. Personnel jockeys don’t control the jobs, so don’t let their officious posturing convince you that they do. They control the applications — but don’t go that route! Don’t take no for an answer until you hear it straight from the hiring manager. Get in the door without an application, and without facing the “job application meat grinder software.” Here are the basic steps for going around the system — though they are not for the meek. 1. Throw out your resume. The average time a manager spends reading a resume is six seconds. It’s not a good way to get in the door. (See Tear your resume in half.) Don’t use a resume. 2. Don’t apply for jobs. Find problems to solve. Whether in person, by phone or e-mail (in that order of preference) briefly explain to the manager how you can help solve the problem. Outline your solution in 3-5 steps. Don’t give all the details — but your summary had better be good. 5. Ask for a 20-minute meeting, not a job interview. That’s no easy task. But if you can’t show in 20 minutes why you’re worth hiring, then you have no business in that meeting. Of course, you will have to present a more detailed “proof” if the manager is impressed. Everything else is a waste of time, designed to make busy work for HR that looks like productivity. You can and should apply for a job you believe — and can prove — you can do. But don’t waste your time applying on a form to the HR department. For more about this approach to landing the job you want, please see Skip The Resume: Triangulate to get in the door. If you want another shot at another job at this company, of course you can try again! But don’t waste your time with the gate keeper. Go talk to the real decision maker! Now get to work, because doing what I suggest is hard work — as hard as that great job you want. So do the work to prove you can do the job. I’d like to hear from those who are willing to invest the time and effort to try what I’ve suggested. Any takers? How do you go around HR?